Working capital loans can help you pay for operational costs, such as rent, payroll and debt payments. Working capital loans, which have shorter terms, are not typically used for long-term investments, such as real estate. Banks offer the lowest financing rates on these loans, so if you own an established business with strong cash flow, you may want to start there. But if the bank says no or if you need cash fast, you can turn to online lenders for financing. The term working capital can encompass virtually every facet of your finances, but ultimately you need it to, well, keep your company working. That could include coping with seasonal dips in revenue, covering maintenance costs, keeping your payroll up to date or managing your inventory. If your personal credit score is at least 560: Kabbage offers a quick working capital line of credit up to $250,000. Pro: Good option for borrowers who need fast cash. Con: Annual percentage rates can reach 99%. 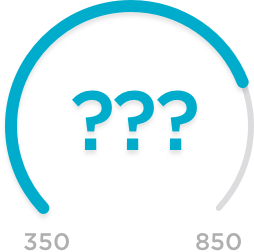 If your personal credit score is more than 600: StreetShares is a peer-to-peer lender that offers lines of credit and term loans up to $250,000. Pro: Good option for borrowers with lower business revenue. Con: Can borrow only up to 20% of your annual revenue. If your business needs more than $100,000: A term loan from OnDeck is an option; the lender provides loans of up to $500,000. Pros: High borrowing amounts; minimum personal credit score is 500, but most borrowers have 660 or higher. Con: APRs can reach 99%. Everyday needs also can be financed with a business credit card. You’ll also have the added benefit of building your business credit and earning rewards, such as cash back or travel miles. Pro: Earn rewards on business purchases. Con: Typically requires good personal credit to qualify; credit limits are typically lower than a business line of credit. If you need a large sum to cover an equipment purchase or minor expansion project, focus your search on lenders that offer the lowest APRs and longer repayment terms. For lowest rates and longest repayment period: SmartBiz provides Small Business Administration loans to established businesses. Pros: Lowest APRs on the market and a 10-year repayment term. Con: Application process is rigorous and it takes longer to get funding — typically several weeks, compared with a few days with other online options. For equipment purchases: Currency offers loans up to $2 million for established businesses. Pros: Currency’s platform matches borrowers with equipment lenders. Con: Some lenders on the platform charge a prepayment penalty. Before you apply for a Currency Capital loan, find out whether you meet the lender's minimum qualifications. For quick funding and competitive rates: Credibility Capital offers loans of up to $400,000. Pro: Funding time is seven days on average. Con: Term length maxes out at three years. Loan term: One, two or three years. Funding time: Seven days on average. Credibility Capital is unavailable to borrowers in Nevada, North Dakota, South Dakota and Vermont. Companies that work in the business-to-business sector will face gaps in cash flow. To help keep your business running while the check’s in the mail, consider invoice financing. It’s a good option when you’re in a pinch, although high APRs make these services pricey. For businesses with strong-credit customers: BlueVine can front you cash of up to $5 million even if your business is less than a year old and you have poor credit. Pro: Good way to tap into a customer’s strong credit score. Con: If your customer doesn’t pay you, you’re still on the hook for the loan. For businesses with shaky credit: If you need fast financing, Fundbox can get you cash as fast as the next business day. Pro: No minimum revenue or personal credit score required to qualify. Con: Must have access to accounting software like QuickBooks or FreshBooks. When looking for a working capital loan, it’s important to compare all of your options based on APR, which represents the true cost of the loan, including all fees. To evaluate other loans, you can go to NerdWallet’s small-business loan tool. NerdWallet’s list of lenders is based on factors including market scope, customer experience and lender trustworthiness.